The one you've waited for. 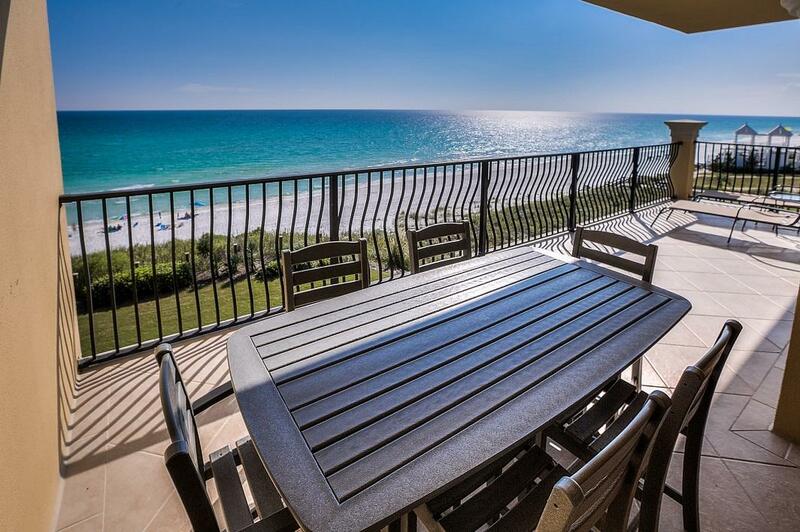 West corner unit on 3rd floor with the very best gulf views in Adagio. C-305 comes with 2 deeded underground parking spots and a large storage cage for your beach gear and bikes. Last 12 months rental income is $118,883.30 The Adagio is by far one of the most well designed gulf front developments on 30A including a gulf front heated pool, a large lagoon pool, large hot tub, fitness center, amazing green space which is always well manicured. Tall ceilings, large rooms, great storage space both inside with a 60 square foot Owner's closet and an underground storage cage. Having 2 deeded parking garage spaces is very rare in Adagio. Several gulf front units only have 1 space. Amazing boutique property with high rental income and repeat guests.